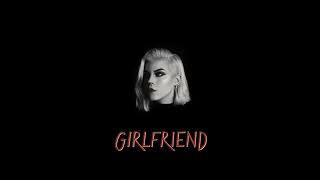 Electo-pop powerhouse Car Astor (formerly know as SEE) has just release her newest single “Girlfriend”! Starting at the otherworldly synth swagger of its opening line, this new single elicits a visceral need to move. The songs irresponsible pop-powered melody and lyrics keep your brain laser focused while the riotous layers fo reverb-heavy and serrated synthesizers consume the rest of your body.